A 15-year-old exotic that offers competitive performance. The NSX has made it through those 15 years without a major update or redesign. Except for a horsepower increase and upgrading from a five-speed to a six-speed transmission in 1997, and some styling changes in 2002, the 2005 Acura NSX is essentially the same as the one offered to exotic-car buyers. All-aluminum unibody construction and lightweight aluminum suspension components give the car a nimble feel. Standard features include 17-inch wheels, a removable aluminum roof panel, HID headlights, remote keyless entry, automatic climate control, a 165-watt Bose stereo with a CD changer and leather seating. 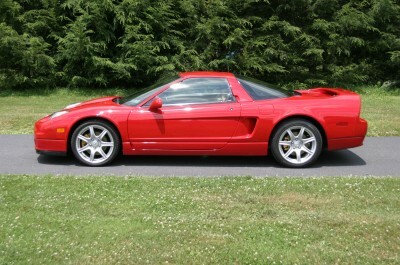 The NSX can accelerate to 60 mph in about 5 seconds and has a top speed of 175 mph. Well-balanced, perfectly poised, easy to drive, powerful, graceful — the NSX is a precision instrument that is forgiving enough to make drivers of varying skill feel like pros.Superb balance and handling, thrilling exhaust note, everyday ergonomics, Honda reliability!